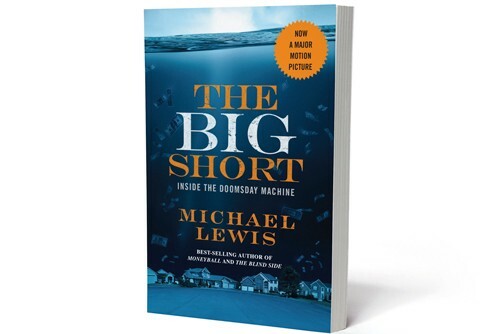 In his #1 New York Times bestseller The Big Short—which Adam McKay and Charles Randolph adapted to win the 2016 Academy Award for Writing (Adapted Screenplay)—Michael Lewis tells the story of how four outsiders in the world of high finance predicted the credit and housing bubble collapse of the mid-2000s and decided to take on big banking. Below you’ll find Michael Lewis’s introductions, excerpted from his book, to the main characters, as portrayed brilliantly by Christian Bale, Ryan Gosling, Brad Pitt, and Steve Carell. After a while even he ceased to find it surprising that he spent most of his time alone. By his late twenties he thought of himself as the sort of person who didn’t have friends. He’d gone through Santa Teresa High School in San Jose, UCLA, and Vanderbilt University School of Medicine and created not a single lasting bond. What friendship he did have were formed and nurtured in writing, by email; the two people he considered to be true friends he had known for a combined twenty years but had met in person a grand total of eight times. “My nature is not to have friends,” he said. “I’m happy in my own head.” Somehow he’d married twice. His first wife was a woman of Korean descent who wound up living in a different city (“she often complained that I appeared to like the idea of a relationship more than living the actual relationship”) and his second, to whom he was still married, was a Vietnamese-American woman he’d met on Match.com. In his Match.com profile, he described himself frankly as “a medical student with only one eye, an awkward social manner, and $145,000 in student loans.” His obsession with personal honesty was a cousin to his obsession with fairness. Greg Lippmann was incapable of disguising himself or his motives. “I don’t have any particular allegiance to Deutsche Bank,” he’d say. “I just work there.” This was not an unusual attitude. What was unusual was that Lippmann said it. Greg Lippman is called Jared Vennett in the film. Ben Hockett had spent nine years selling and then trading derivatives for Deutsche Bank in Tokyo…. He had the tangy, sweet-smelling aroma of the dropout about him. “When I started I was single and twenty-two,” he said. “Now I have a wife and a baby and a dog. I’m sick of the business. I don’t like who I am when I get home from work. I didn’t want my kid to grow up with that as a dad. I thought, I gotta get out of here.” When he went in to quit, his Deutsche Bank bosses insisted that he list his grievances. “I told them I don’t like going into an office. I don’t like wearing a suit. And I don’t like living in a big city. And they said, ‘Fine.’” They told him he could wear whatever he wanted to wear, live wherever he wanted to live, and work wherever he wanted to work — and do it all while remaining employed by Deutsche Bank. Ben Hockett is called Ben Rickert in the film. Eisman quickly established himself as one of the few analysts at Oppenheimer whose opinions might stir the markets. “It was like going back to school for me,” he said. “I would learn about an industry and I would go and write a paper about it.” Wall Street people came to view him as a genuine character. He dressed half-fastidiously, as if someone had gone to great trouble to buy him nice new clothes but not told him exactly how they should be worn. His short-cropped blond hair looked as if he had cut it himself. The focal point of his soft, expressive, not unkind face was his mouth, mainly because it was usually at least half open, even while he ate. It was as if he feared that he might not be able to express whatever thought had just flitted through his mind quickly enough before the next one came, and so kept the channel perpetually clear. His other features all arranged themselves, almost dutifully, around the incipient thought. It was the opposite of a poker face. Steve Eisman is called Mark Baum in the film. On Feb. 6th, 2016 the New York Times published this op-ed by Eisman on how breaking up the banks would not create a stronger economy. The Big Short is now streaming on Netflix and available on Blu-Ray™ and Digital HD.